Kosher, Haraam, Renaissance or Just a Feel Good Time? 1999) marks the end of the Second Millennium of the Ethiopian calendar. According to Professor Richard Pogge’s lecture notes for the Astronomy 161 course at Ohio State University ( website ) world calendars can be broadly classified into two: the lunar calendar group and the solar calendar group. Lunar calendar follows the moon while solar calendar follows the seasons. For example, the calendars of Arabs, Chinese, Indians, Japanese and Vietnamese are lunar while the Jewish calendar is a mix of solar and lunar. The ancient Egyptians’ calendar is a solar calendar as are both the Gregorian calendar and the Julian calendar. The ancient Egyptians developed their calendar around 3000 BC. They divided the year into 12 months of 30 days each and added an extra five days to make up the 365 days in the year. The Ethiopian calendar resembles the calendar of the ancient Egyptians. Furthermore, the Julian calendar was developed by Sosigenes of Alexandria. It was the result of Julius Caesar’s attempt to correct the calendar that was used by ancient Rome; as the old Roman calendar did not correctly compute important Christian holydays like Easter Day. The Julian calendar in turn was abandoned in 1570 when Pope Gregory XIII instructed all Catholic countries in Europe to use his new calendar. The use of the new calendar became mandatory in the then Catholic Europe and its colonies. Japan, Soviet Union and China respectively adopted the Gregorian calendar in 1876, 1918 and 1949. The link between culture, faith and time counting system is apparent. Notwithstanding the solar basis of both the Gregorian and Julian calendars, Eastern Orthodox churches follow the Council of Nicaea’s method of computing Christian holydays such as Easter Day (Fasika). This methodology was adopted in 325 AD and reaffirmed as recent as in 1971. 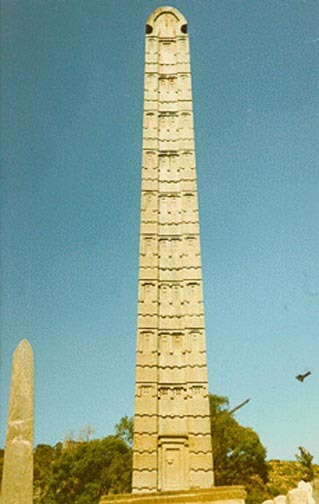 Hence, despite the widely held view that the Ethiopian calendar is a version of Sosigenes’s calendar (Julius Caesar) and is often linked to the Ethiopian Orthodox Church, it is important to note that the origin of the Ethiopian calendar is ancient Egypt. Hence, the link between the Ethiopian Orthodox (Tewahido) Church and the Ethiopian calendar is one of custodianship and functionality (use) rather than faith or invention. Followers of Pope Gregory’s calendar celebrated the end of the Second Millennium nearly seven years ago; with big fireworks and parties. The ancient Egyptian (Ethiopian) Millennium is not expected to have a different form of celebration. The party is gearing up. The difference is that the party is more than likely to reinforce myths and contain political bugs. For example, one widely held Ethiopian superstition (mythology) suggests that in the year 8000 (Ethiopians believe that there were 6000 years before the birth of Jesus Christ) the world will end at the tail end of the Second Millennium. This mythology is strengthened by fe’kare yesus, an ancient Ethiopian writing in the Geez language; which literally translates to ‘the warnings of Jesus’. It contains selected verses from the Holy Bible, with extended annotations. For the modern version, see fe’kare yesus, by Tesfa Gebre Selassie zebehere Bulga, Tesfa Printing Press, Addis Ababa 1986 Ethiopian Calendar, 74 pages, (in Amarigna). Leaving the mythology aside, social reality is difficult to discern. In his famous book the Pandora box, the reality of science studies, the French scientist Bruno Latour (1999:7) observes that “reality [in science studies] depends on what the mob thinks is right at any given time”. Hence, while one cannot always successfully juxtapose science realities with social realities, it is easy to observe that the Ethiopian mob inside the country and in the Diaspora think that the Ethiopian Millennium is indeed truly and uniquely Ethiopian; a treasure that has been maintained despite cultural invasion, Eurocentric education, culture based politics and the myths and realities of modernity. Contemporary writers on Ethiopia and the press often relate the celebration of the Ethiopian Millennium with the resilience of the Ethiopian culture and identity; in a period of ethnic politics and the post 9/11 world order. Thanks to the Internet, from Cape Town to Copenhagen and from Seattle to Sydney, one reads news and receives invitations to a millennium celebration party. The parties are of different shapes and sizes. The celebration has also attracted several people from the rest of the continent and the African Diaspora. The Heads of States and Governments of the African Union have also correctly declared that the Ethiopian Millennium should be celebrated as Africa’s Millennium. Hence, the celebrations will be happening not only in different shapes and sizes; but in different colours; with or without the control and influence of the present day Government of Ethiopia. Hence, given the current political climate, a given celebration centre might be kosher to a group of Ethiopians but haraam to other group of Ethiopians. The English thesaurus defines the term kosher to mean acceptable, legitimate, genuine, authentic, the real thing and true. The origin of the Ethiopian Millennium is ancient Egypt. It has a scientific base; it is African; millions of people use it and, is therefore kosher. With regard to its celebration, one might face the halaal and haraam (e’erm in Amarigna) dichotomy. Some might be unable to decouple the celebration of the heritage day from organized institutions. However, the Islamic faith teaches the existence of a fundamental difference between a halaal and a haraam (e’erm). In the halaal concept, one finds compliance to be the central issue while the haraam (e’erm) concept suggests a total prohibition. For most Ethiopians, including the lunar calendar followers, the celebration of the heritage of ancient Egypt cannot be a haraam (e’erm). Hence, the halaal-haraam dichotomy helps us to know the difference between a ban and compliance. Halaal or kosher, as one celebrates a new year, let alone a new millennium, s/he cannot avoid thinking about the past and looking ahead into the future. While looking back at the last millennium, one is reminded about the many koshers, halaals and haraams in the history of Africa and Ethiopia. The kosher includes the existence of historical footprints that connect the people of the continent of Africa. The history of the inhabitants of ancient Egypt, whose physiology resembles the indigenous people of the continent, provides us with the legacy of astronomy. The new generation faces the formidable challenge of unearthing Africa’s knowledge repositories. With regard to African Empires, one cannot avoid thinking about the political geography of Africa before the continent was conquered by Arabs and Europeans. There are few hints here and there. For example, the British cartographer William Berry in 1630 referred to the Southern coasts of South Africa (Durban and Nelson Mandela Metro areas) as the “Ethiopian Sea”; and described the then residents of the now Great Zimbabwe as “Ethiopians”. In contrast, the Abyssinian Empire often gets merged with the maps of ancient Egypt and Nubian mountains in the North and Benin in the East (see for example the historical maps available at the libraries of the University of the Witwatersrand). The beginning of the new millennium must herald the end of unfounded assertions about Africa. The post millennium celebration day (September 13, 2007; Meskerem 2, 2000) must be a time for a sober reflection on the past. It must be the beginning of not just Thabo Mbeki’s renaissance period and a time of getting reparation from the 17th century slave traders, but a period of innovation. It must be the beginning of a coordinated challenge to the process of the crowning of bad ideas. In this respect, for example one recent puzzling idea comes from a group of rather eminent scholars of European origin. Professor Christopher Clapham of Cambridge University and his colleagues in Southern Africa attempt to find a relationship between economic development and “dysfunctional” States of Africa. They reckon that the break up of several “big” dysfunctional African states (Ethiopia, DRC, Nigeria and Sudan included) is evident. The result of the break up might be the creation of functionally “efficient” states, and functionally efficient states are often associated with growth and prosperity; the argument goes. The dysfunctional States hypothesis and other similar shaky theories need to be interrogated as they have the potential to crown bad ideas and worse, re-introduce the haraams of the past. Thinking about the end of the Third Millennium (that is year 3000 AD) brings wild guesses and requires the kind of powers that a super psychic, T’enquay or a sangoma enjoys. Notwithstanding this, the population estimate of present day Ethiopia is 81 million. No one would imagine what the shape and size of Ethiopia will be at the end of the Third Millennium. Assuming no major human tragedy occurs (including the rift valley remaining stable, the planet is not hit by a major meteorite, global warming is under control and the AIDS epidemic is subsiding), and if one further assumes that birth rate exceeds death rate by a constant growth rate of g per annum, the land mass that is described as present day Ethiopia can have a staggering population figure of 81, 000,000 (1+g).1000 The implication of this population size for the finite landmass of today brings both nightmare and scientific challenges and illusions. The Ethiopians of the Third Millennium will have to create and learn to eat a different form of injera; as the size and method of making the present injera will not be useful in the future. The size of the injera of the Third Millennium might be the size of a tablet but must also have complexity to satisfy the hunger of the future. The type of house that an Ethiopian of the Third Millennium will live in cannot be the one s/he is living in now. One might think that it will look like a kennel. However, while thinking about the physiology of the Third Millennium Ethiopian, one becomes helpless in knowing not only his/her size but the birth and burial system of the future. In other words, following the teachings of dialectical materialism, the world will continue to change, for better or worse, with or without our knowledge. The new Ethiopian Millennium can be kosher, halaal, haraam (e’erm), a renaissance period or just a random collection of discrete feel good times or a mix of some or all of them. To the extent life can be deterministic, it will depend how we shape our future. Notwithstanding this, a feel good moment, however short it may be, so long as it is affordable, does not harm anyone. Happy Ethiopian Millennium and enqutatash! The above article was sent to Tigrai Online by G.H.